Welcome to the PPI Resource Centre, your hub for in-depth information about our product range and complete in-house packaging design and manufacturing services. Download our stock product range or learn more about our process below. Click to download and discover our Stock Range of packaging and mailing products, available to purchase today. Preparation is key to achieving a successful outcome. When we create a customised packaging or display solution for your business, the initial planning phase is vital. Your product deserves to be packaged and displayed in the best way possible - perfectly protected on the inside, whilst being aesthetically impressive to prospective customers from the outside. Our team of experts will work in partnership with you to engineer your ideal packaging solution. 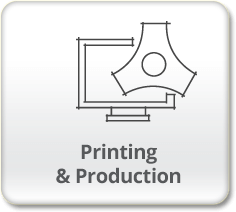 Let our design, engineering and manufacturing team guide you through the process towards achieving your ultimate packaging outcome. 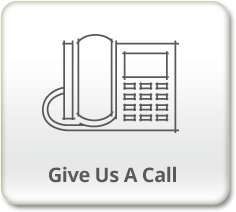 You contact us on 1800 25 8000 with a specific brief, an example of the item you would like to package or even an unfinished idea and we can work with you to make it happen! Our friendly and experienced team will design and engineer the ideal solution for you, exchanging concepts, art and even photos to determine exactly what you are looking for. A consultation can be planned at our studio or your location. 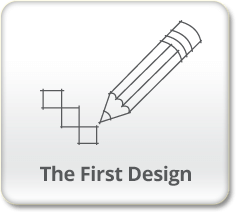 After the initial meeting, our design team will create a packaging design concept for the item you require. Be it a customised protective shipping carton or a branded floor stand to display your product in-store, it is vital we get the design and initial sample exactly right before we produce the entire run. A further meeting is arranged to review the sample, and any modifications can then be made. 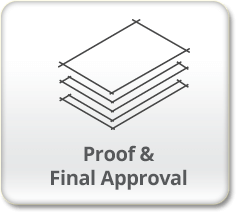 Once the design has been reviewed and confirmed, our packaging experts work to determine how the final product will be produced. Working in conjunction with our manufacturing team, all aspects of the production of the agreed design will be scoped. Further details such as quantities, print finishing, deliveries, etc. will be required to enable us to produce a formal quotation. 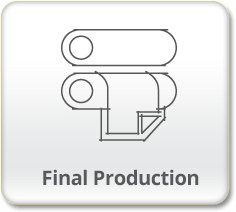 Upon receipt of your formal purchase order, for printed packaging we will supply you with an electronic die-line an editable (EPS) format. 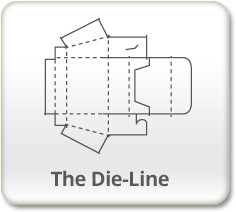 You or your graphic designer can then lay your pre-designed artwork over the die-line to produce the required "print ready" art file. Once the artwork has been processed by our pre-press department, final pre-production proofs will be supplied. Once the proofs have been reviewed and approved by you, they are then signed and returned to PPI and this gives us the confirmation to start the manufacturing process. Once the signed proofs are received by PPI, final production of the item begins at our in-house manufacturing facility. Depending on the size and scope of the order, delivery can be anticipated within 2-6 weeks of receiving the signed proofs. Call us to ask more about our process. 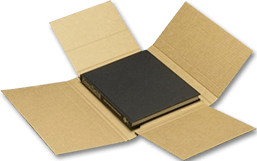 View our extensive range of book mailers and other mailing products.